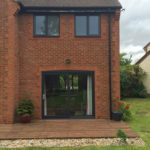 Our clients wished to update their property in Bicester and give it a contemporary makeover by replacing all of their windows and patio doors. 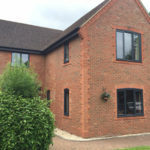 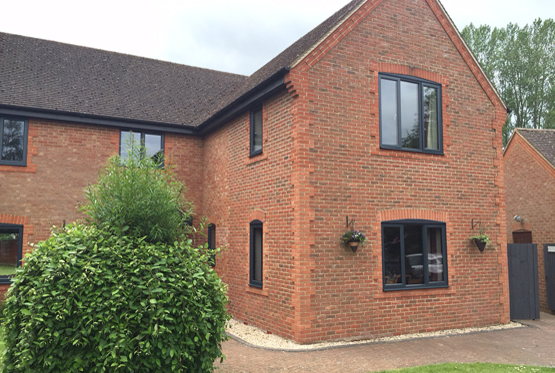 After reviewing different types of windows with us they decided to replace their old rosewood timber windows with new anthracite grey flush casement aluminium windows. 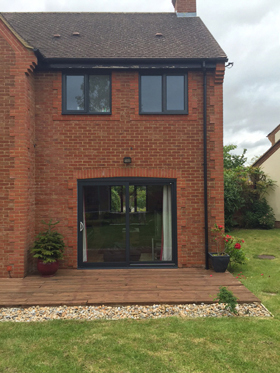 The patio doors were also replaced with matching grey aluminium sliding patio doors. 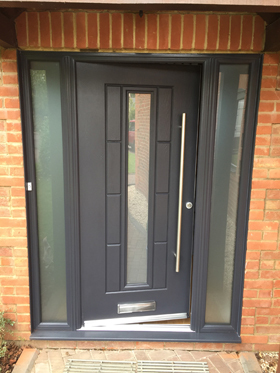 The old timber double entrance doors were then replaced with a composite door in anthracite grey with matching side panels featuring satin glass and a sleek chrome door bar handle inside and out. 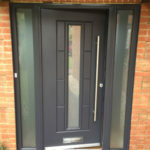 This really finished the house off in style. 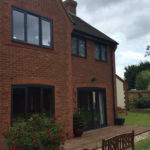 As our clients wanted a modern, contemporary finish this was achieved by using grey flush aluminium windows and patio doors instead of uPVC on this occasion. 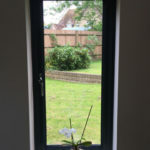 The slim frames allow for a larger glass area which creates a particularly good look on the narrower windows of the property. 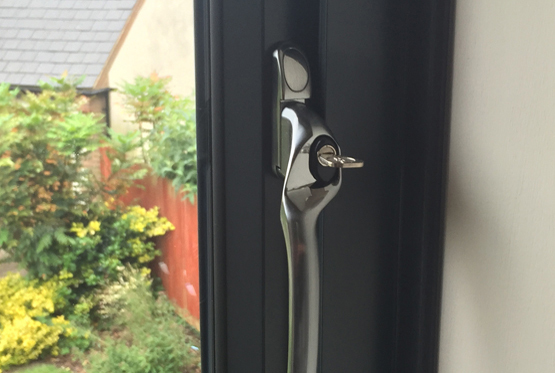 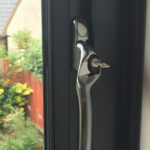 The interior chrome handles also keep it modern inside and the window locks give that extra peace of mind when it comes to security or having young children in a property. 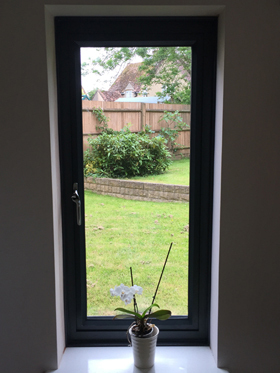 The composite grey aluminium patio door also looks fantastic and is one of the best available in the UK, with a security rating of 1 and an energy rating of A, this door is not only beautiful but performs excellently. 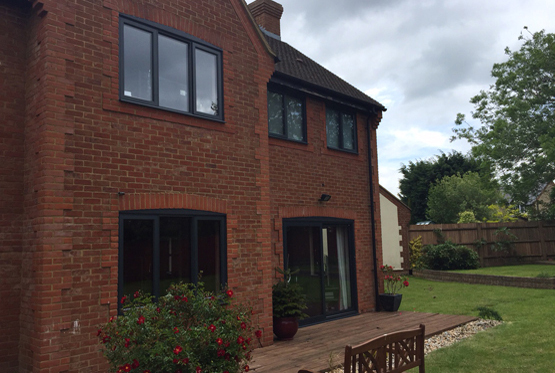 With our grey flush aluminium windows and patio doors this house in Bicester has been completely transformed into exactly what the clients were looking for and envisaged, a modern, contemporary home that not only stands out but is safe, secure and energy efficient.